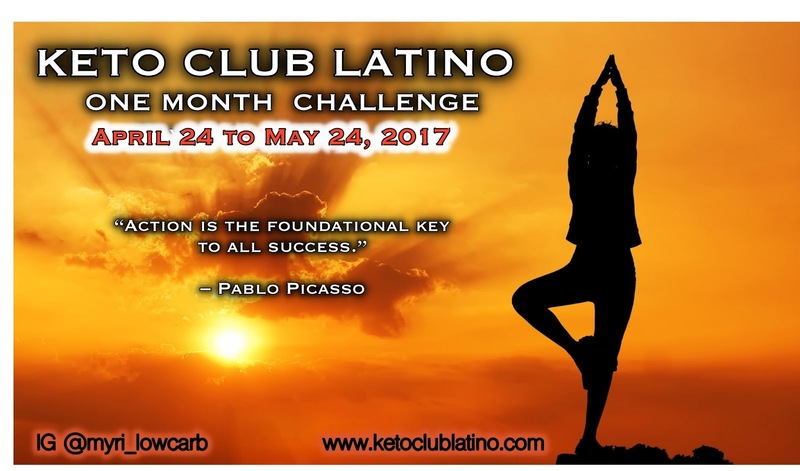 Keto Club Latino: KETO CLUB LATINO ONE MONTH CHALLENGE "RULES AND GUIDE"
KETO CLUB LATINO ONE MONTH CHALLENGE "RULES AND GUIDE"
Earlier this week I invited you to participate in my "Keto Club Latino One Month Challenge". 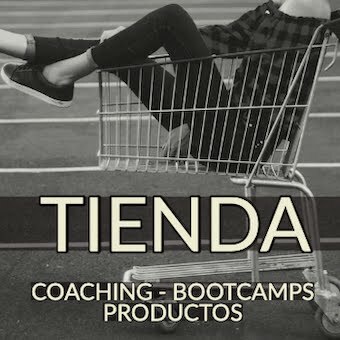 I am very excited that you are back to get the guide and rules to join me on this life changing experience. The challenge lasts a full month. Starting from May 24 to June 24, 2017. Pinned post: Is the very first top post you will see every time you come visit Keto Club Latino Facebook page. And it is a duplicate of this post you are reading now. You are not to weigh yourself every day, or every week. You post your initial weight and you don’t weigh or post your weight until the end of the challenge. I recommend to measure your body (bust/chest, waist and hips), to keep track of your success. You don’t need to share this information with us. 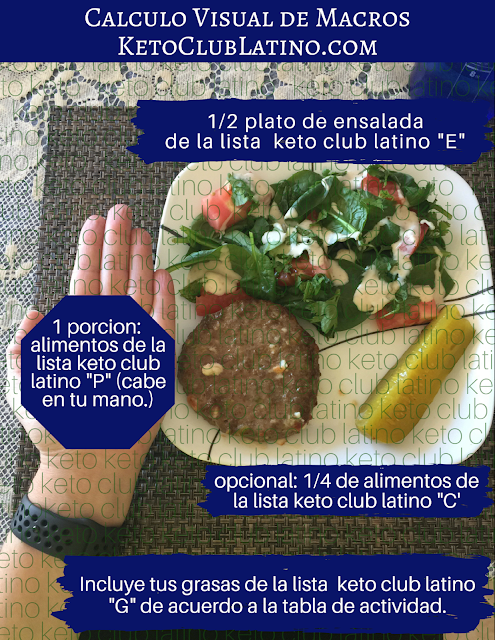 You must post at least one photo per day in Keto Club Latino Facebook page. 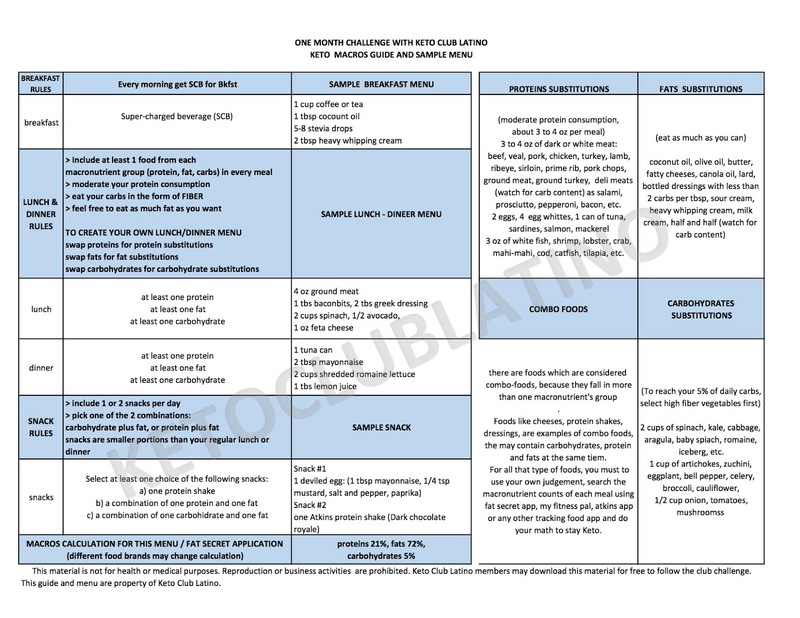 The photo may contain one of your meals or a screen shot of your daily macros, as tracked in your preferred food tracking app. You are free to download this image. 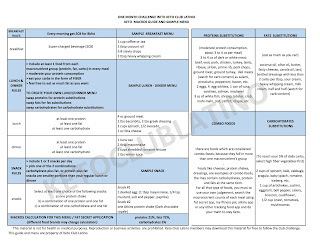 A full list of macronutrients (proteins, fats and carbs) can be found online at several keto friendly websites, like: Atkins, Ruled me, Keto school, Keto diet app, etc., or simply use a food tracker phone application.